When I was growing up we never sent thank you cards. We were of course grateful for gifts given to us from family and friends. But that was as far as it went. Sometimes we would make a call to say thank you or give the thank you in person the next time we saw the giver. But taking the time to send an actual card? That was a foreign idea. It wasn't until I was a young adult that the quaint notion of sending thank you cards struck me as an option. I tried to remember to send thank you cards but it was sporadic at best. And sadly it wasn't until much later when I realized the real value of a thank you card. I am changing the culture in my own family so that my daughter expects to send thank you cards. In fact she gets agitated if we wait too long to write them. Writing and sending a note of thanks takes effort. Much more effort than a phone call, text message, or email. To me, the call or electronic message is simply acknowledgment that the gift reached its intended recipient. While the thanks expressed at such a moment maybe heart felt, it takes little to no effort and quickly becomes a forgotten moment in time. The time and thought involved in putting pen to paper to send a written note is a much greater indication of gratitude. And for those of us who keep such sentiments, the written thank you note becomes a treasure that can be revisited again and again. Sadly the habit of not sending a note of thanks is holding on strong to the other members of my extended family. And frankly, it makes me less inclined to spend much time, thought or money on a gift the next time around. Perhaps our household's diligence in sending thank you cards will someday light a spark of inspiration to others. Here is a simple little thank you card I made on my Silhouette. This is a print and cut card and will fit in a standard thank you card envelop. You can download the Silhouette Studio file from my Google Drive by clicking here. There is also a pdf file of the card at the same link. You will need to resize the pdf so the card prints 5" x 6 3/4" which is a standard thank you card size. Here I dressed up the card a bit by cutting out paper circles and mounting them over the printed circles. I completely agree with you on this topic. My daughter can't read yet (she's only 3) but I write in a highlighter "Thank you" on a folded piece of paper that she then traces out and colors that we send for any gift she receives. And it does irk me when we don't get a thank you from others. It almost makes me not want to write thanks yous to them for what they give, but I try to be the bigger person and do. What irks me even more is when I don't receive a thank you for a wedding gift - at least an occasion as big as that should get a thank you card written. Cam & Sarah, I love the highlighter idea! And I agree, we need to worry about ourselves, not what the other person is doing but sometimes that is difficult. It certainly does color the amount of effort that is put into gift selection. Thank you for leaving a comment! Sorry it took me so long to reply. Isn't it funny, we used to not like getting the mail because of all the junk mail. Now we love getting mail because so much is done electronically. There is something very satisfying about putting pen to paper. Now I need to practice what to write on that paper! We ALWAYS were required to send thank you's, and my son follows that rule too. THANKS for this amazing post and for clever card idea. Hi Elizabeth. Thank you for leaving a comment. I think this post has struck a cord with a number of folks. It is one of those things that you need to teach children young or it will not stick. Yes, I couldn't agree more. Growing up, I wasn't taught to send thank you cards, but I was taught to say thank you and show gratitude. However, as I have grown I have changed and I do send thank you cards and I have taught my tween daughter to do the same. I think the card says a lot and makes the recipient feel special. Thanks for sharing. 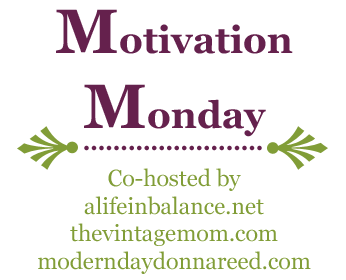 I'm stopping by, by way of the Mommy Monday Blog hop! Hi Carica! Good for you to pick up this good habit. It is hard to start at first I found. But with a little practice it becomes natural. I appreciate your visit and leaving a comment. I married later (age 35) and also had my first child at 35 so I went to Puh-lenty of weddings and wedding and baby showers where I put a ton of time and effort and money into gifts....only to hear nothing. It's irritating and hurtful at the same time. I'm so glad I started my marriage off on a well-mannered foot by sending out thank you's. At first it felt like a pain - writing out over 140 thank you cards for my wedding was WORK. But if you know how to write a good thank you, it's actually fun. You get to mentally relive the event, it makes you think fondly of your friends and loved ones, and it pays off in spades. I've had so many people remark that it was so touching to get my thank you cards. People really are more inclined to be generous with those who remember to say thank you (not that I do it just to get more gifts, of course!). My son is only 7 months old but we still have him "write" a thank you. It's sad that what used to be a social norm has now become a lost art! That is a LOT of work. We also married later (a bit older than you). We invited friends over for a party in the backyard then eloped at the party so everyone came to a surprise wedding! We didn't want gifts, we already had so much stuff between the two of us. But the baby shower... now that was another story. There were several and so many cards to write and being very pregnant and not feeling well. Those thank you cards were hard to make happen. But with my hubby's help we got them done, I think three or four days before our daughter was born. Pretty sure they would not have happened after that date! Thank you for your thoughts. Have a great day! I also agree that Thank You cards are so important - physical ones. It doesn't take a long time to write a physical thank you note, but it does go a long way for sure. Hi Rebecca. The physical paper card is just a token but it is a tangible reminder that your efforts were both acknowledged and appreciated (even if the gift was exchanged!) Social niceties existed for a reason. This one is worth keeping alive. Have a great day! Your Thank You cards are super cute! I think it is so important to send Thank You's but it seems like parents are not teaching kids to send Thank You. Thanks for linking up at Saturday Dishes. Great post. I was one of the lucky (didn't think so at the time) kids whose mom forced her to write thank you notes. In fact, they were in my stocking EVERY Christmas. As an adult, I have continued this tradition and come to realize what a sign of respect to that person who bothered to give you something. Too many people take it all for granted. Kelley I LOVE the idea of thank you note cards in the Christmas stockings! I am so going to do that next year. And the cause and effect lessons work great on my 6 year old too! Thank you for your comments. That is so sweet! Very good points too. I think I will institute a Thank You card policy in 2014! Thanks for the inspiration and for linking up to Snickerdoodle Sunday. I love Thank You cards. And I don't know why it seems to be a dying practice. It's so personal and sweet. And who doesn't like getting something other than junk or bills in their mailbox? I was about to suggest that we make it fives instead and everyone drop off one for the hostess too! LOL! This looks like people will really get into it. Thanks for sharing and linking up with Countdown in Style! Don't forget to come back on Friday to see if you were featured! I hope this will not become a lost art with youth...we need to all be diligent about hand written thank you cards. Thanks for sharing this on the blog hop! Have a wonderful weekend. I love your idea of sending a real thank you card. I find it quite amazing that supposedly the accepted thing for graduation gifts is that no Thank You card should be expected. What has happened to common courtesy? thanks for sharing your post and view point. Visiting from Put A Bird On It Link up Party. Have a healthy wonderful day! This is something I need to work on! I'm horrible about remembering to send a thank you note. Thanks for the reminder of the importance! I am with you! Thank you cards are a wonderful thing. It is so important to practice show gratitude in life! Interesting! Very well explained about the importance of thank you cards. Nice thank you cards! Like the creativity!! Mafia greeting cards: the most unique cards ever! There is NOTHING like it anywhere else! Each card is $2.95. There is a 15% discount when you buy the whole set of 12. Just click on the “open” button to see the inside.